EXCLUSIVE to the Scandinavian Market, this promotion will run for one week only! Purchase 2 Bottles of Theta Pure and receive a FREE Y-Age Aeon for only $78.00 + (normally $147.95+) and receive 56 BV points. This promotion starts on the 9th April 2018 and runs until the 16th April 2018! Theta Pure is a pure and natural source of Omega 3 DHA and EPA that contributes to the maintenance of normal brain function, normal vision and normal function of the heart. Y-Age Aeon Patches are clinically proven to reduce stress and decrease inflammation in the body. * LifeWave Members Only. No limit on purchase quantities. No product substitutions. Not available through Autoship, Enrolments or Upgrades. 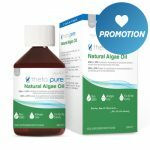 This promotion is only available where Theta Pure products are currently sold. No refund on promotional items for LifeWave Members. Promotion runs from 9th April 2018 at 09.00 a.m. GMT to 16th April 2018 at 09.00 a.m. GMT. Cannot be used in conjunction with any other product offer, multi-unit pricing or product promotion. +Member pricing only.